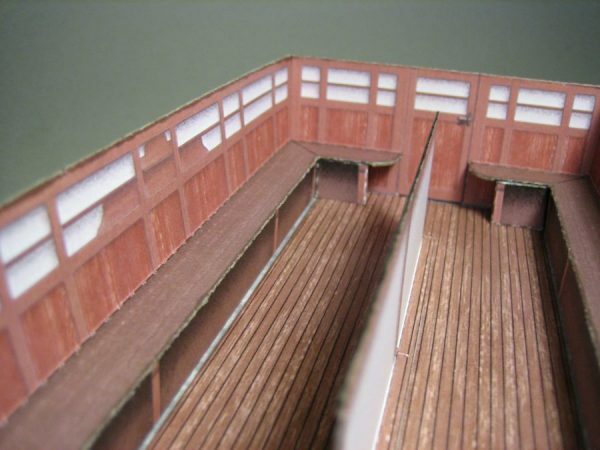 Paper model kit of Second Class Passenger Coach B22 produced by dolfmeister. Designed to match the kits published by the ‘Pädagogischer Verlag des Lehrervereins Zürich’ (teachers’ union). Drawn to a scale of approximately 1:29. This listing is for one new, uncut kit. 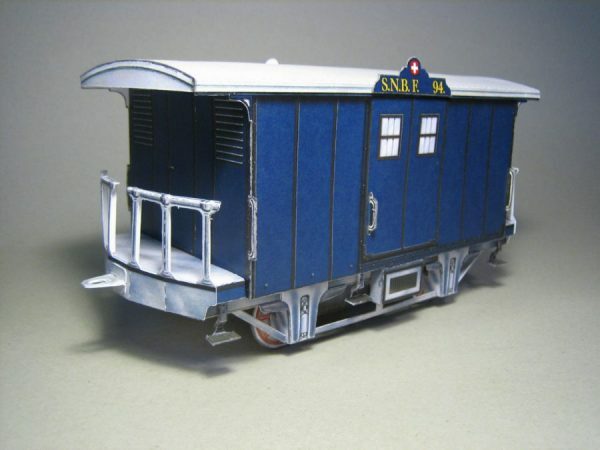 Paper model kit of Third Class Passenger Coach C33 produced by dolfmeister. Designed to match the kits published by the ‘Pädagogischer Verlag des Lehrervereins Zürich’ (teachers’ union). Drawn to a scale of approximately 1:29. This listing is for one new, uncut kit. 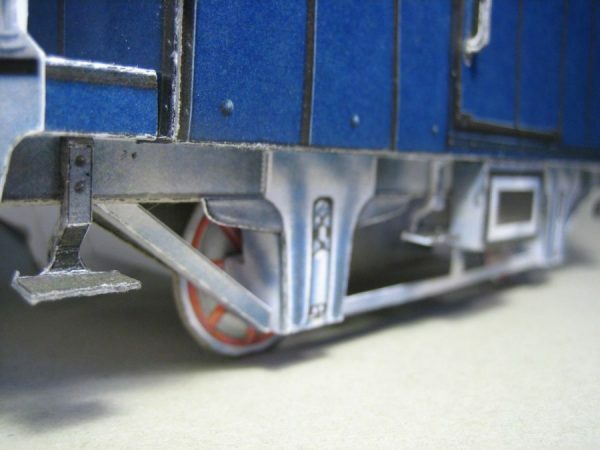 Paper model kit of Third Class Passenger Coach C41 produced by dolfmeister. Designed to match the kits published by the ‘Pädagogischer Verlag des Lehrervereins Zürich’ (teachers’ union). Drawn to a scale of approximately 1:29. This listing is for one new, uncut kit. Paper model kit of Third Class Passenger Coach C42 produced by dolfmeister. Designed to match the kits published by the ‘Pädagogischer Verlag des Lehrervereins Zürich’ (teachers’ union). Drawn to a scale of approximately 1:29. This listing is for one new, uncut kit. Paper model kit of Third Class Passenger Coach C66 produced by dolfmeister. Designed to match the kits published by the ‘Pädagogischer Verlag des Lehrervereins Zürich’ (teachers’ union). Drawn to a scale of approximately 1:29. This listing is for one new, uncut kit. 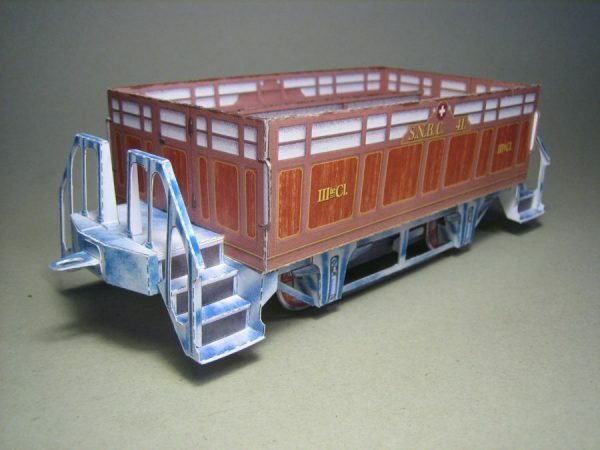 Paper model kit of Luggage Van F94 produced by dolfmeister. Designed to match the kits published by the ‘Pädagogischer Verlag des Lehrervereins Zürich’ (teachers’ union). Drawn to a scale of approximately 1:29. This listing is for one new, uncut kit. 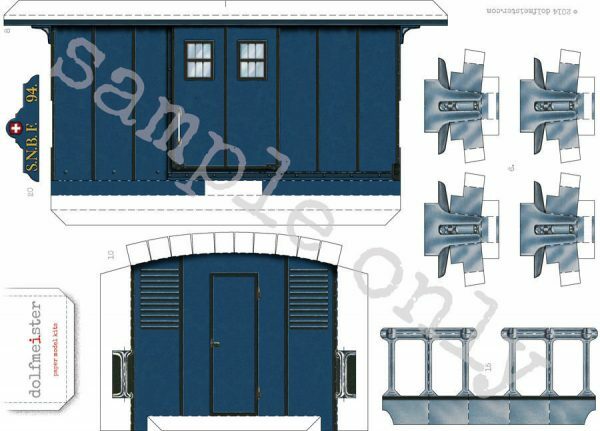 Set of paper model kits of the complete ‘Spaisch Brötli Bahn 1847’. 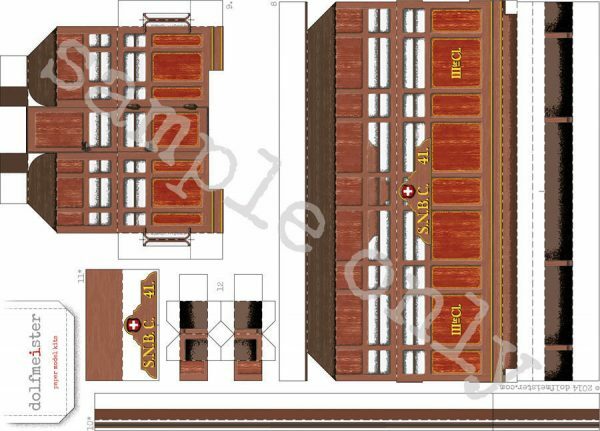 Includes locomotive ‘Limmat’ and tender, first class coach A1, second class coach B22, third class coaches C33 and C66, third class open coaches C41 and C42 as well as Luggage Van F94. Drawn to a scale of approximately 1:29.